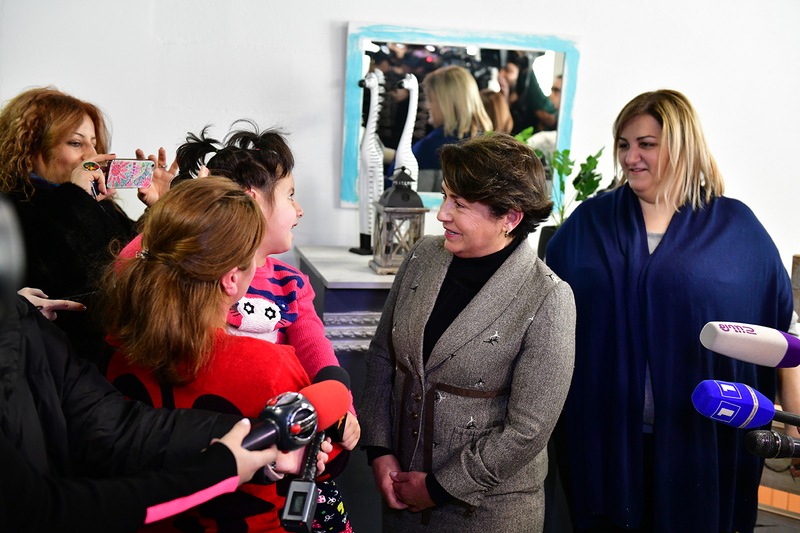 The spouse of the President of Armenia Mrs. Nouneh Sarkissian visited today the Kind House created by the Kind Mama charity organization. 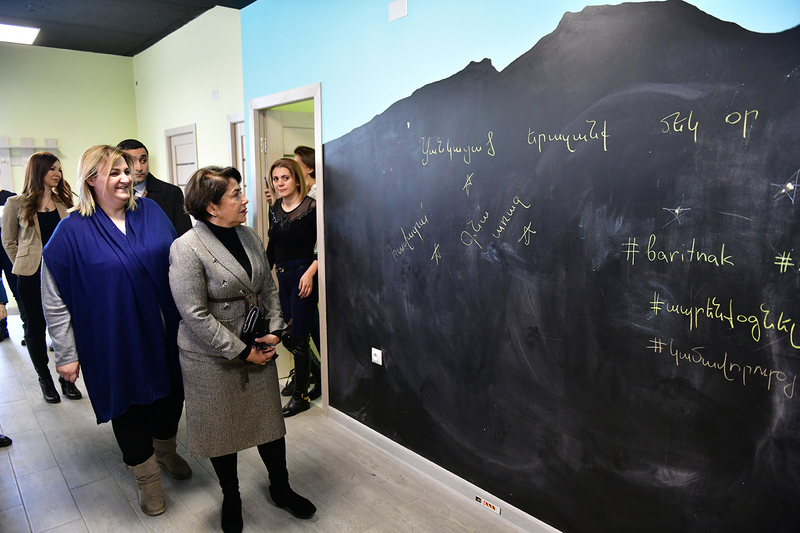 Accompanied by the founder and chairperson of the organization Marine Adoulian, Mrs. Sarkissian toured the premise, familiarized with the conditions, services and future programs. 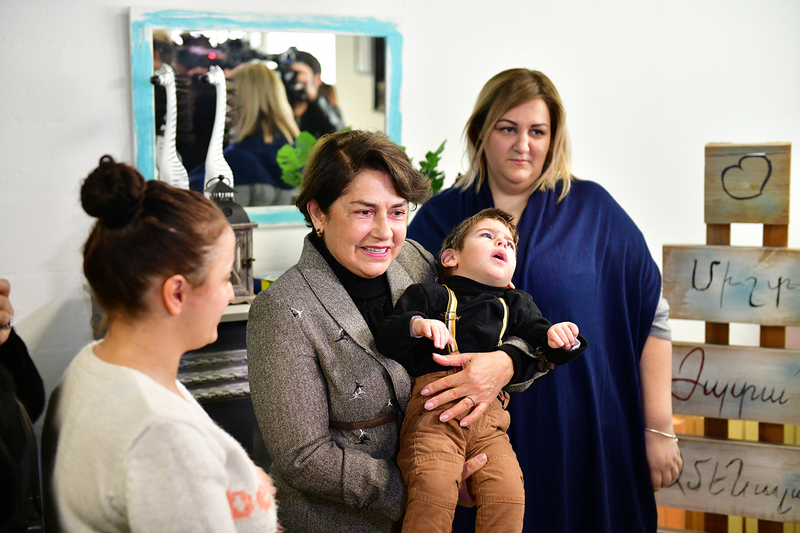 The goal of the Kind Mama charity organization is to prevent the abandonment of children with disabilitis, assist in reuniting children with their biological families. 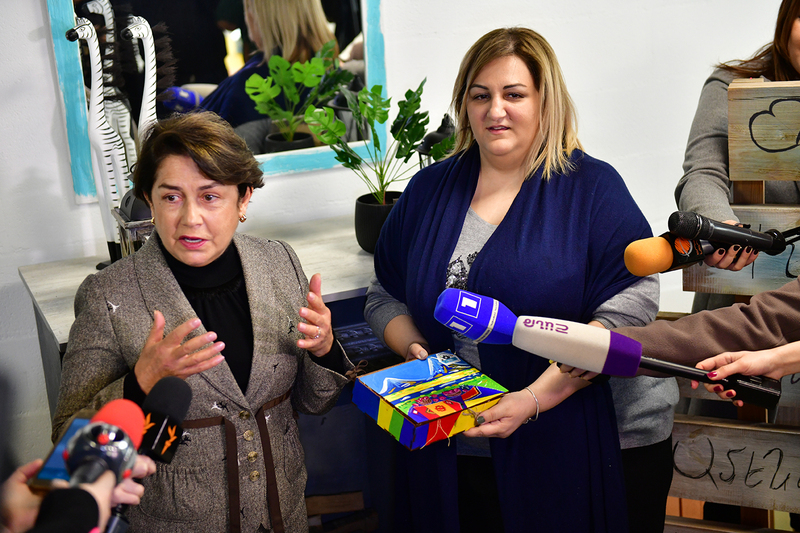 At the conclusion of the tour, Mrs. Nouneh Sarkissian conversed with the founders and the staff of the Kind Mama charity organization and handed them the donation of the RA Presidential Administration for the Kind House initiative. 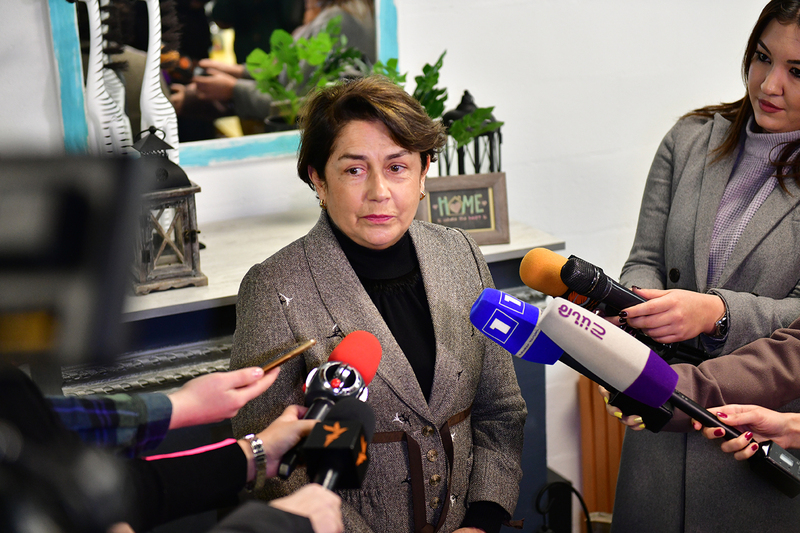 Responding to the questions of the journalists, Mrs. Nouneh Sarkissian noted that the Kind House and the Kind Mama are doing their job in a modest way, with no fuss. 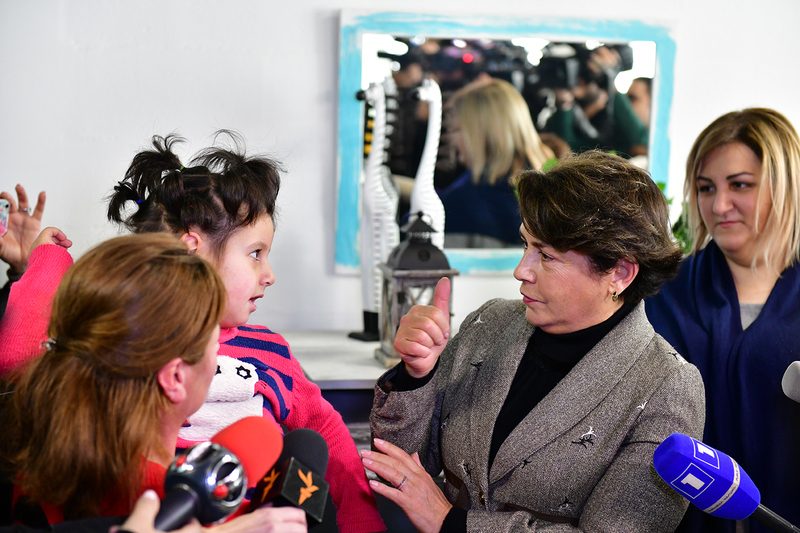 ''It was a discovery for me,’’ Mrs. Sarkissian said. 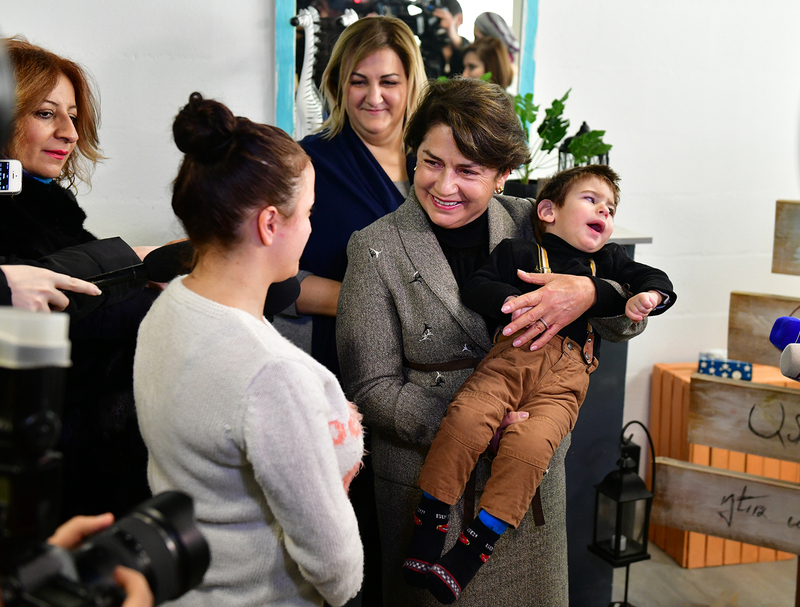 “Being here for the first time, to this nice house, I am very impressed and I hope, I will be able to help them as much as I can.” The spouse of the President noted that everything must be done so that children-beneficiaries of the Kind House feel as indivisible part of the society. “It is important to provide such individuals and children with education, teach them art and craft. It will fill their lives, they will live long years, will not feel lonely. 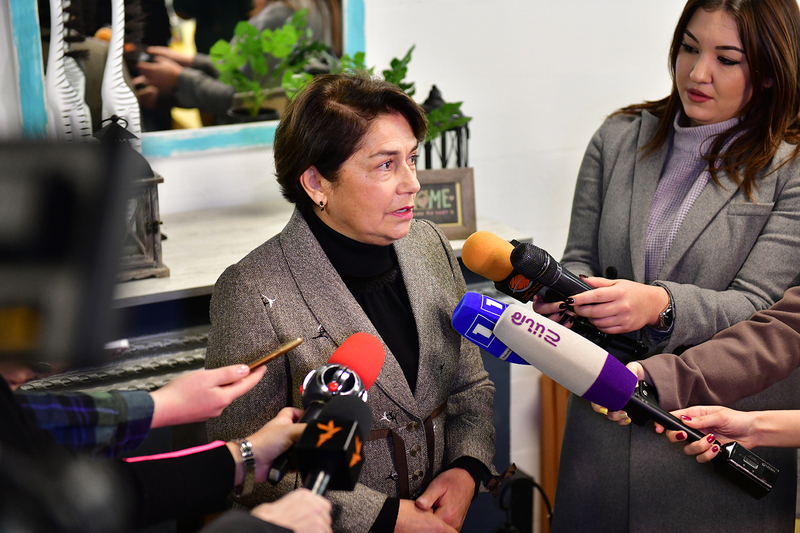 Second, we in our city and in our country in general need to create conditions for the mobility of such individuals,” Mrs. Nouneh Sarkissian said.